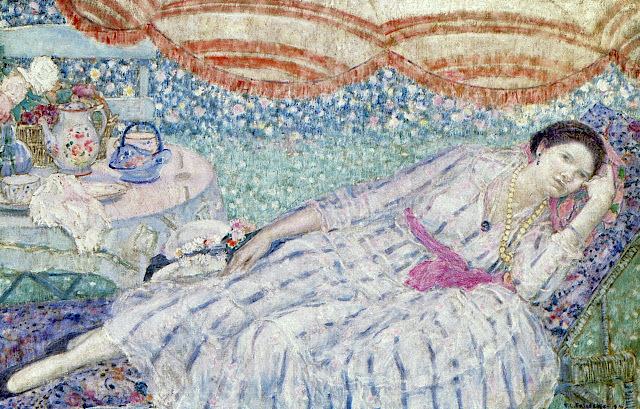 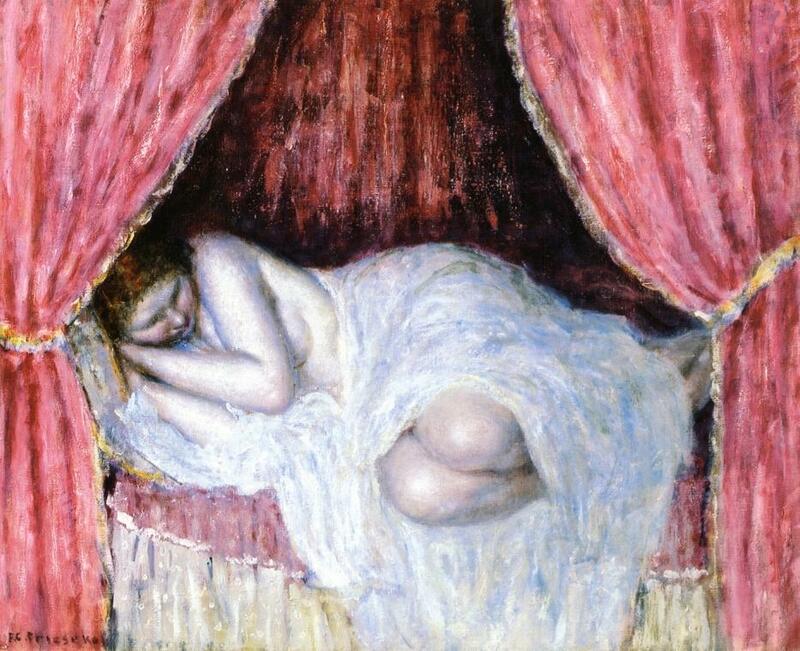 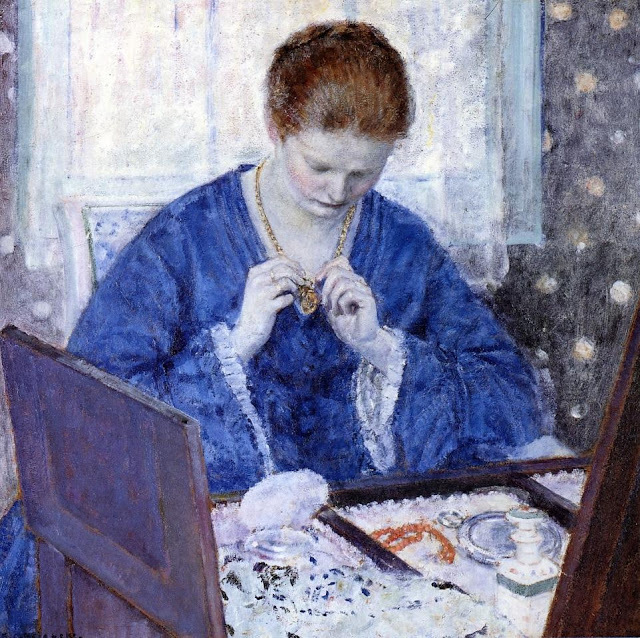 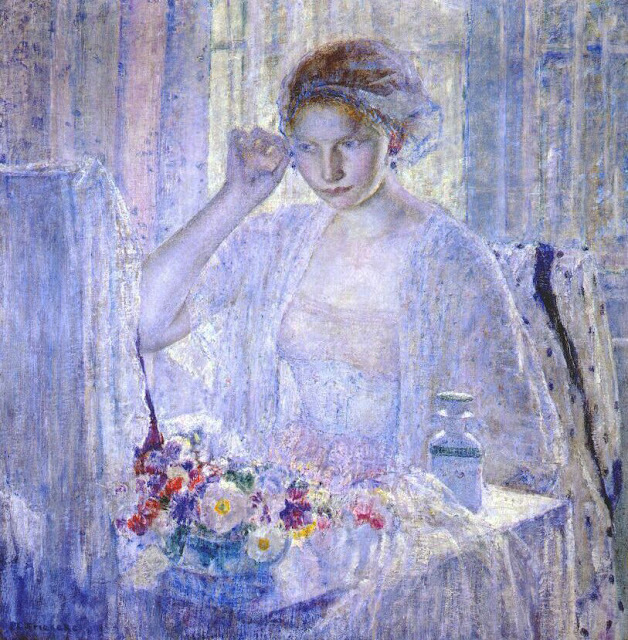 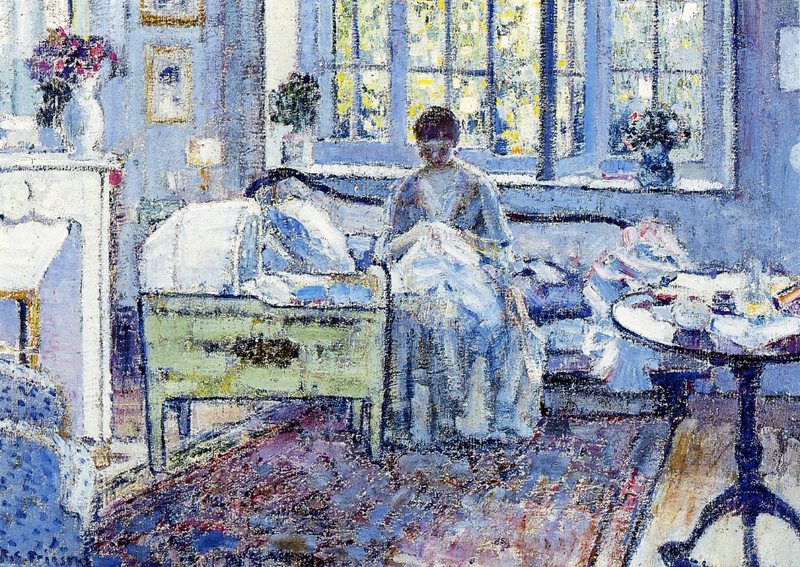 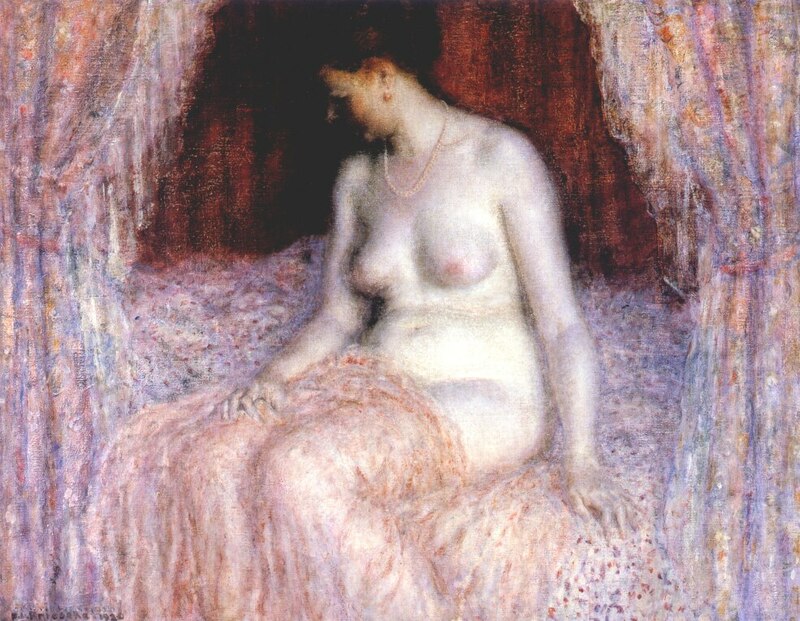 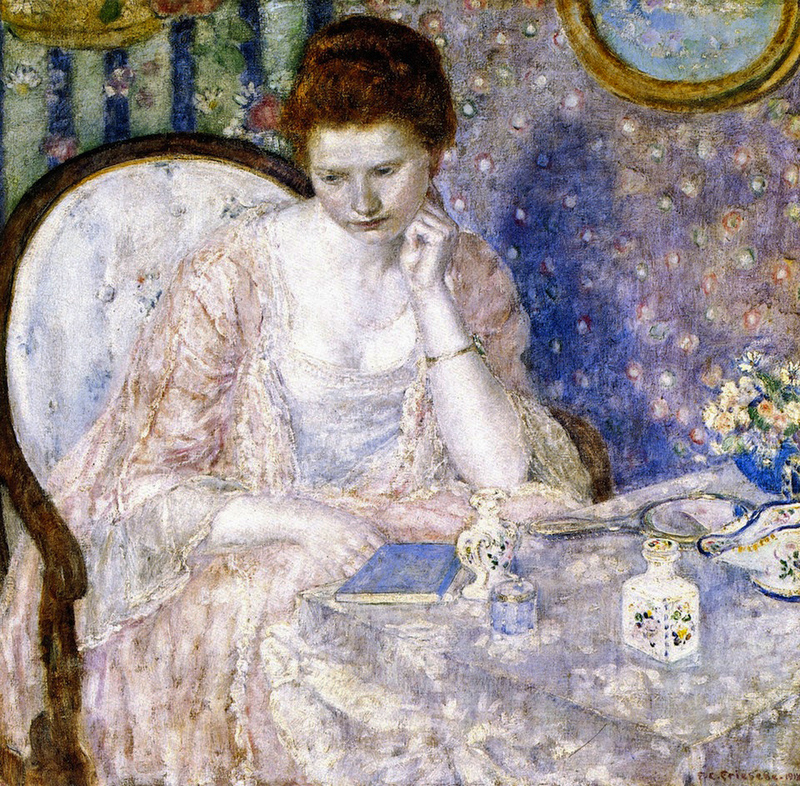 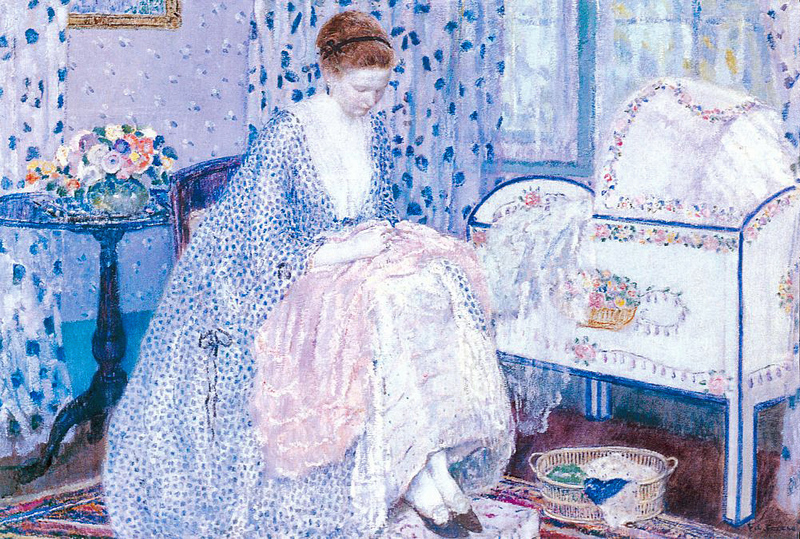 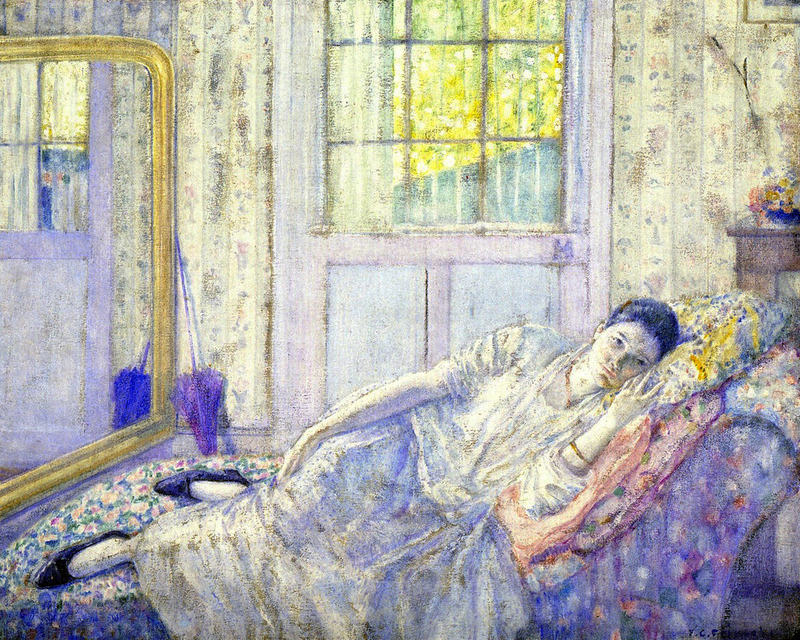 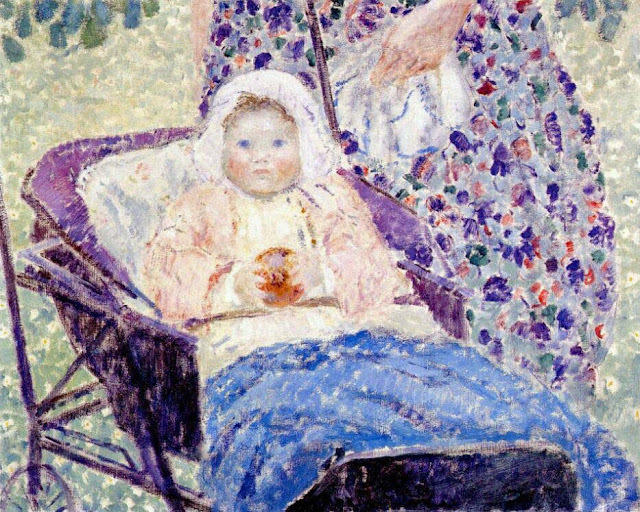 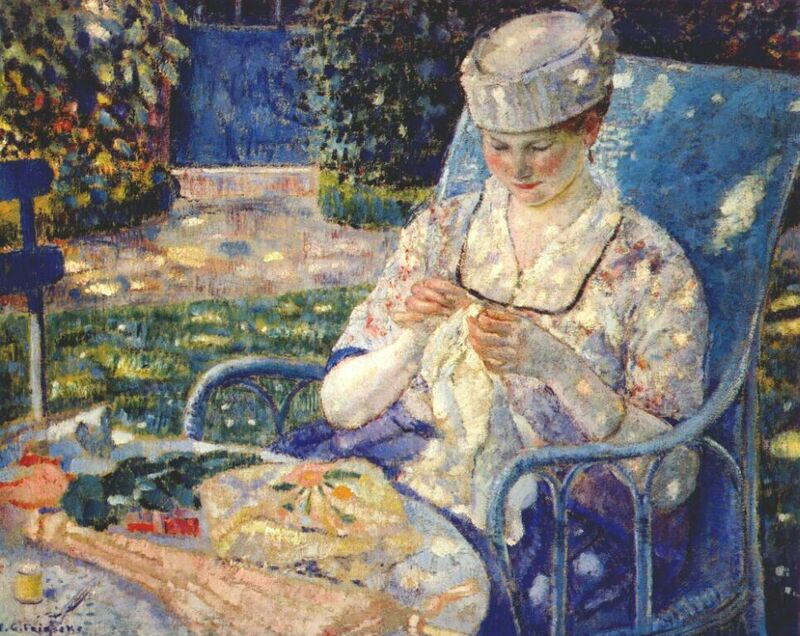 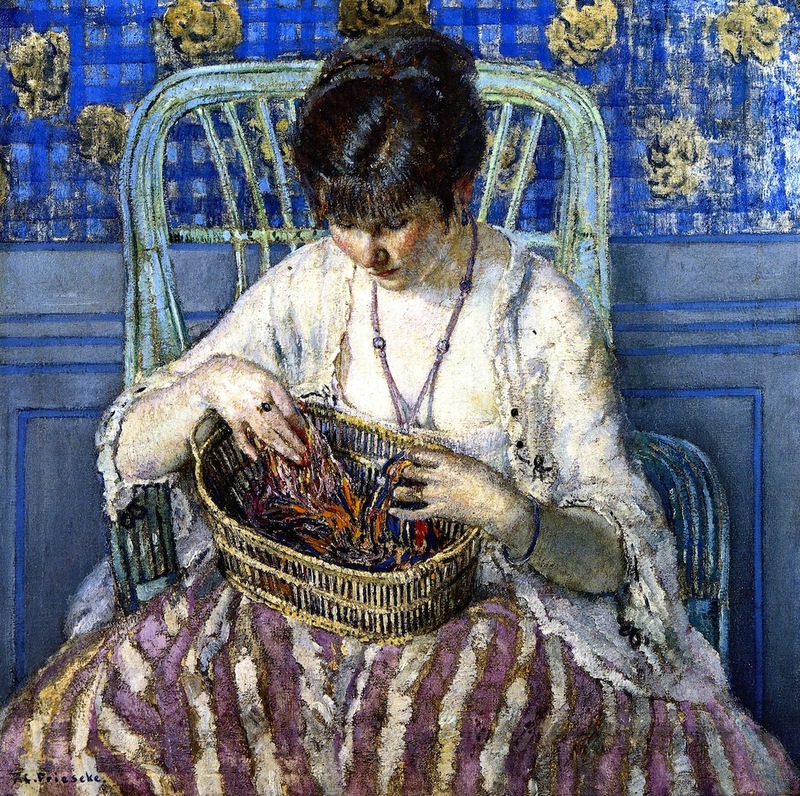 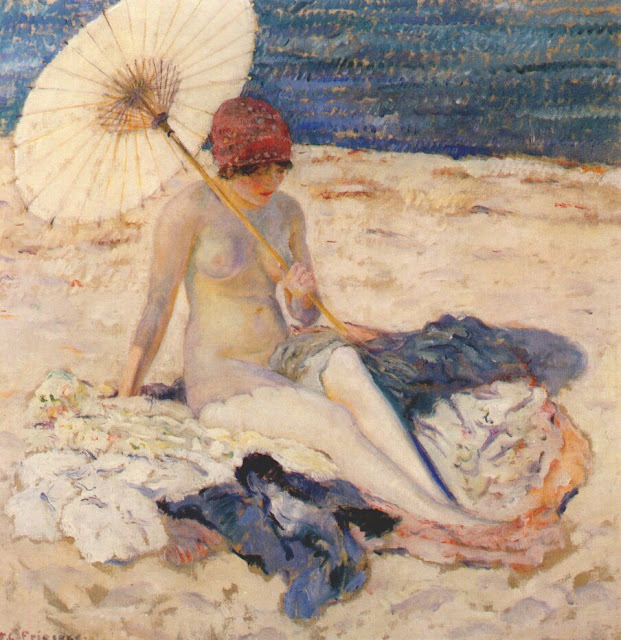 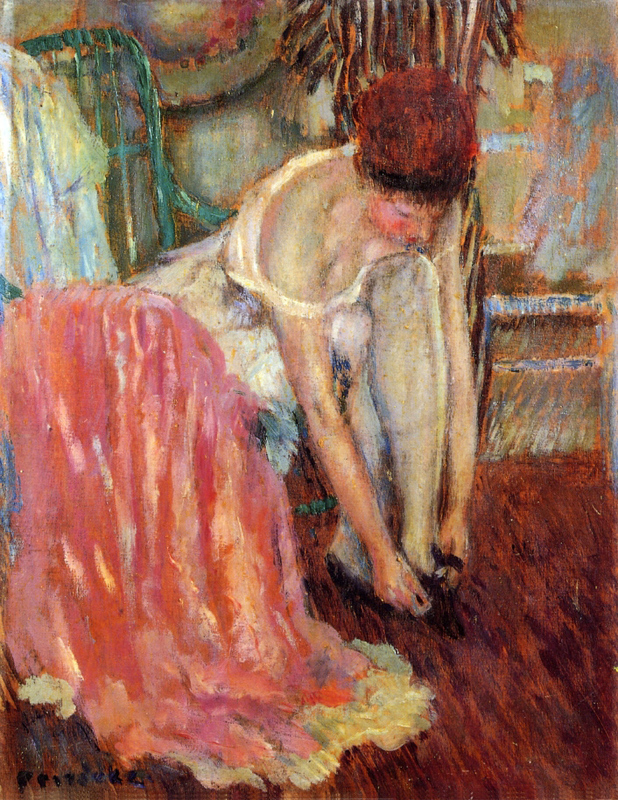 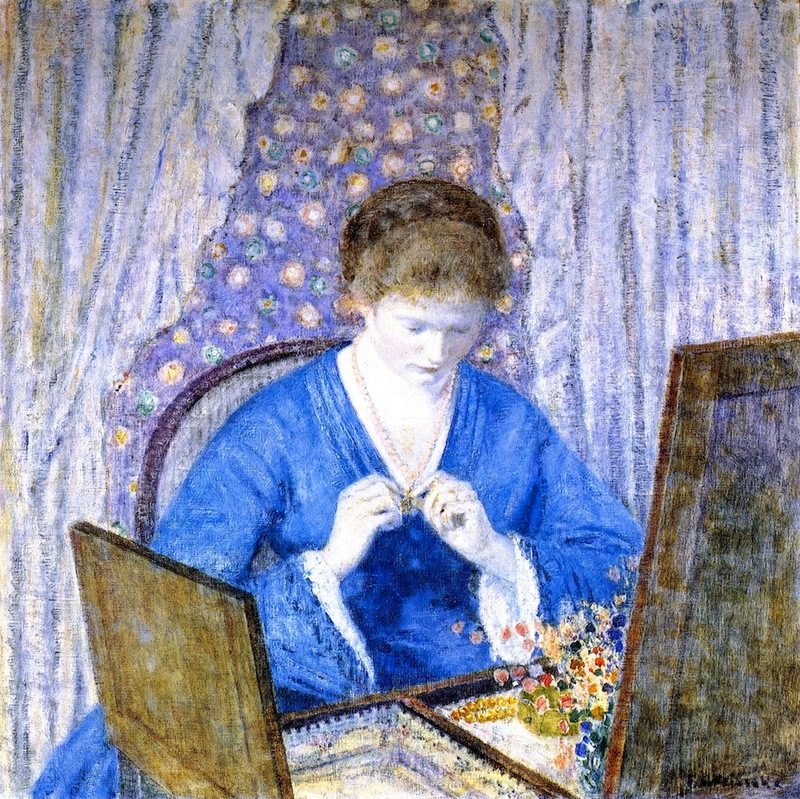 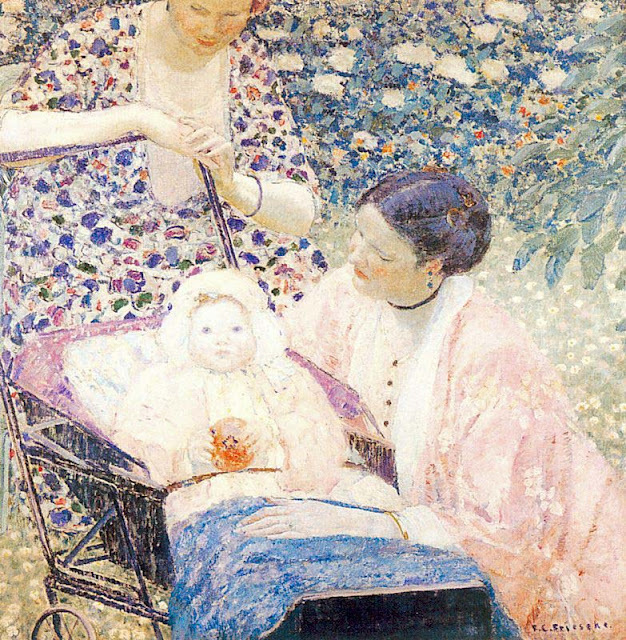 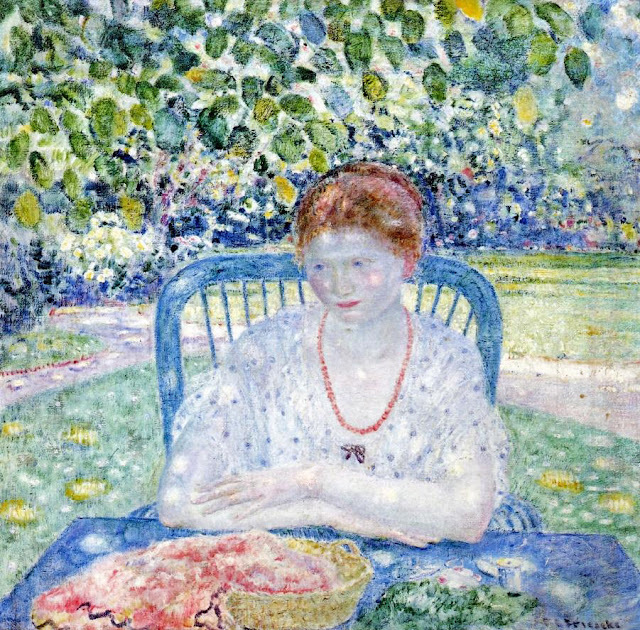 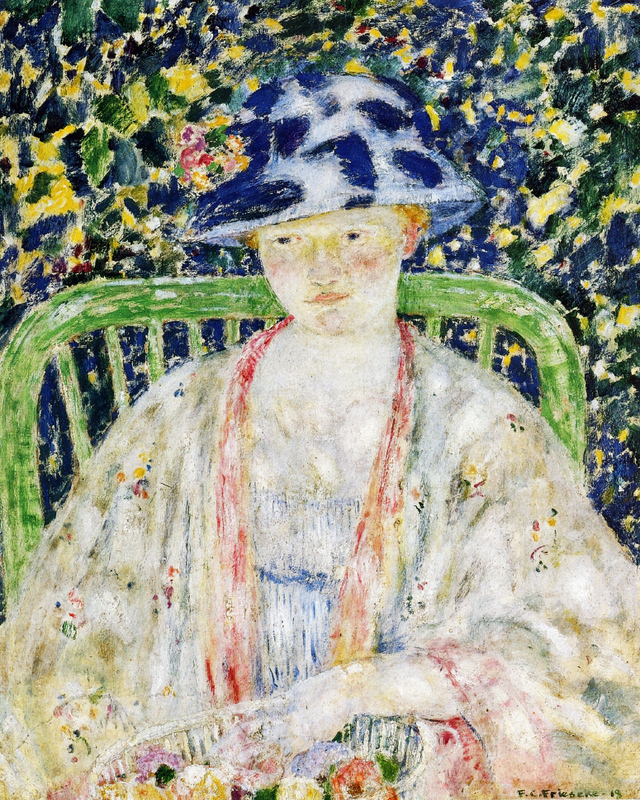 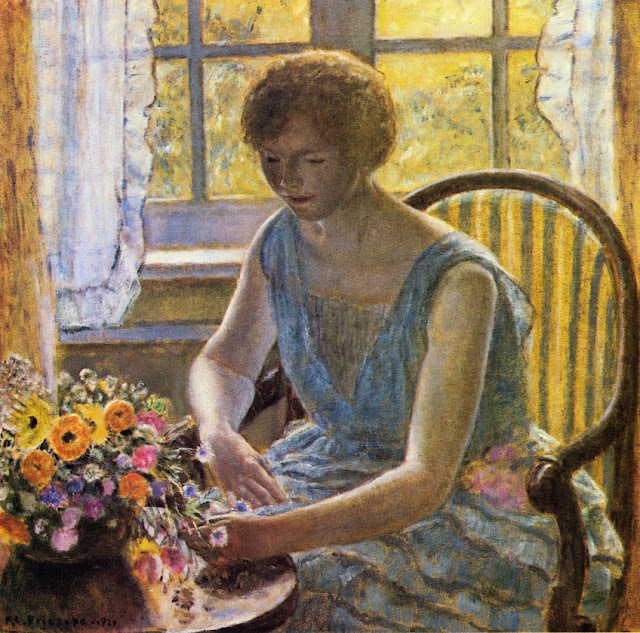 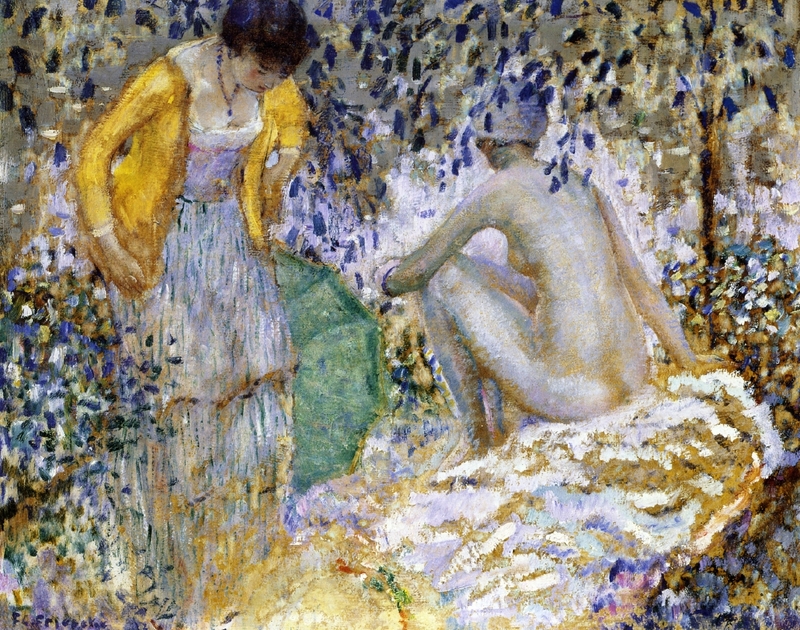 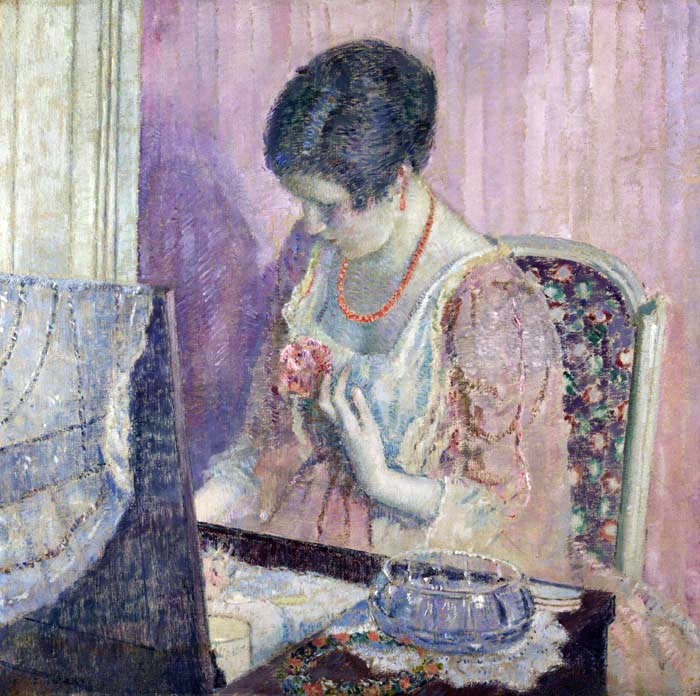 Frederick Carl Frieseke (1874 – 1939) was an influential impressionist painter - the Michigan-born artist took up permanent residence in France after first arriving there at the age of 24. 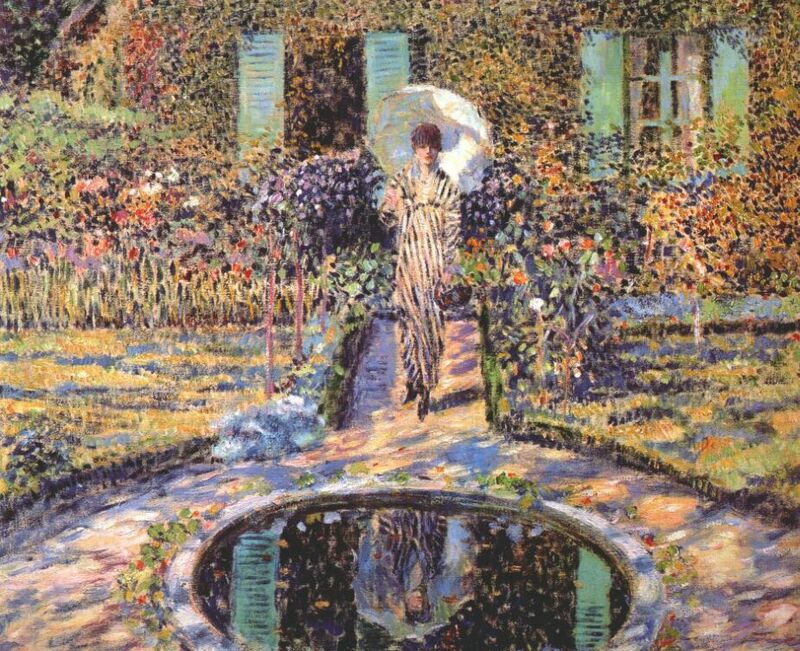 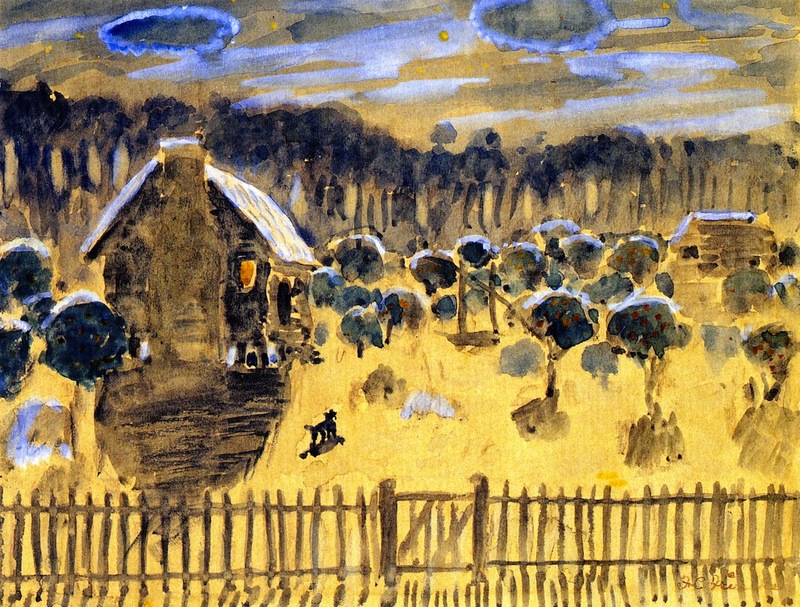 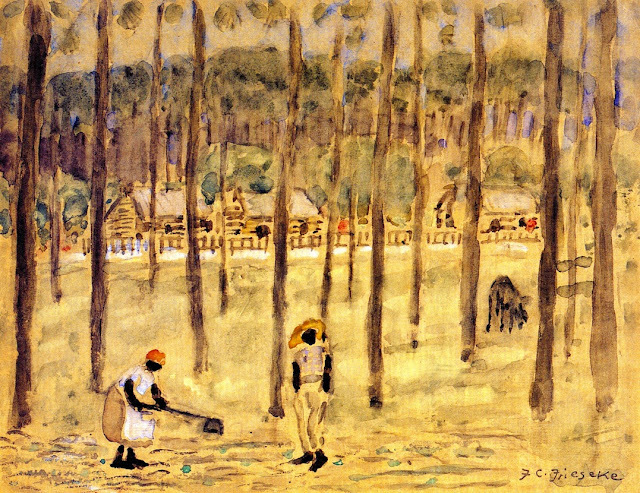 Although he travelled back to the United States periodically and sent works to be exhibited in his native country, he is most closely linked with the French art colony of Giverny, home of Claude Monet. 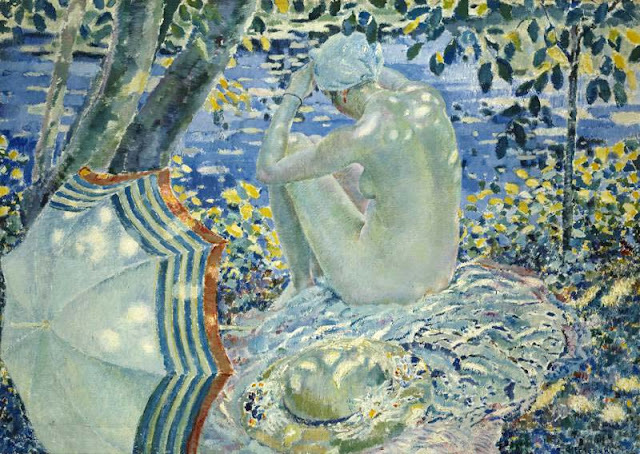 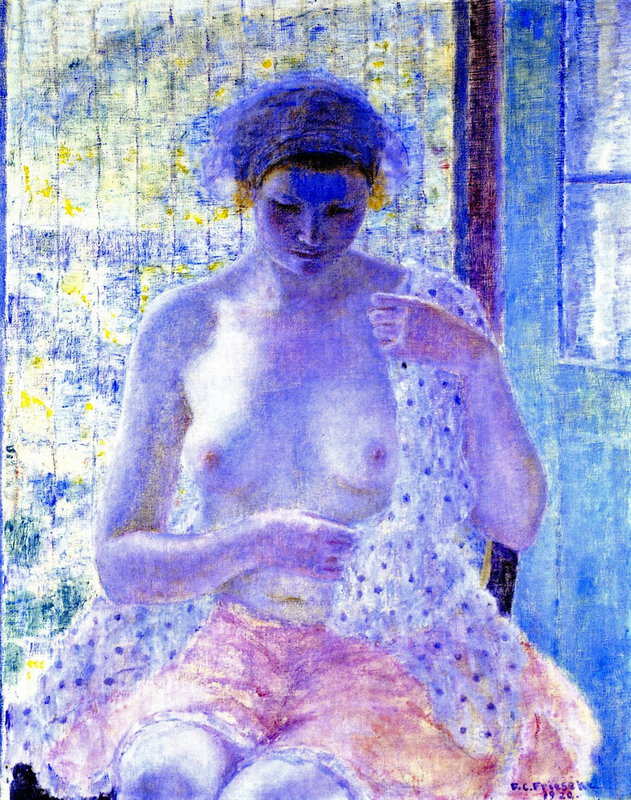 Frieseke was viewed as the leader of the last generation of American painters to converge at the famous spot, many of whom used the surrounding landscape as a backdrop for, rather than the primary subject of, their compositions. 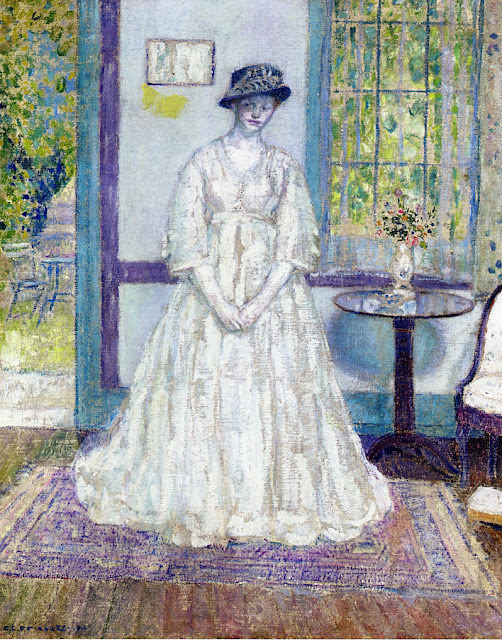 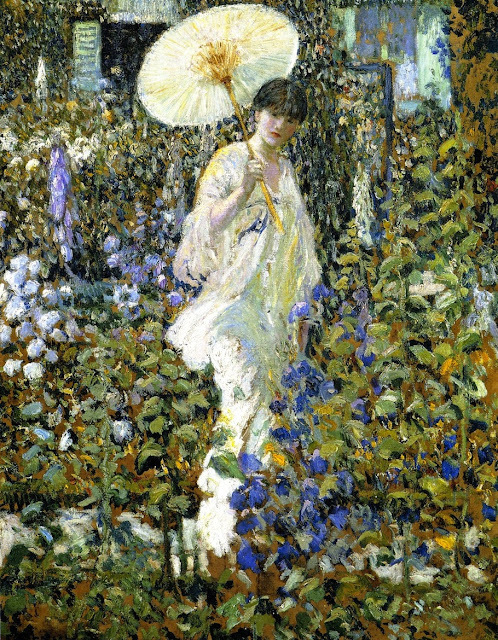 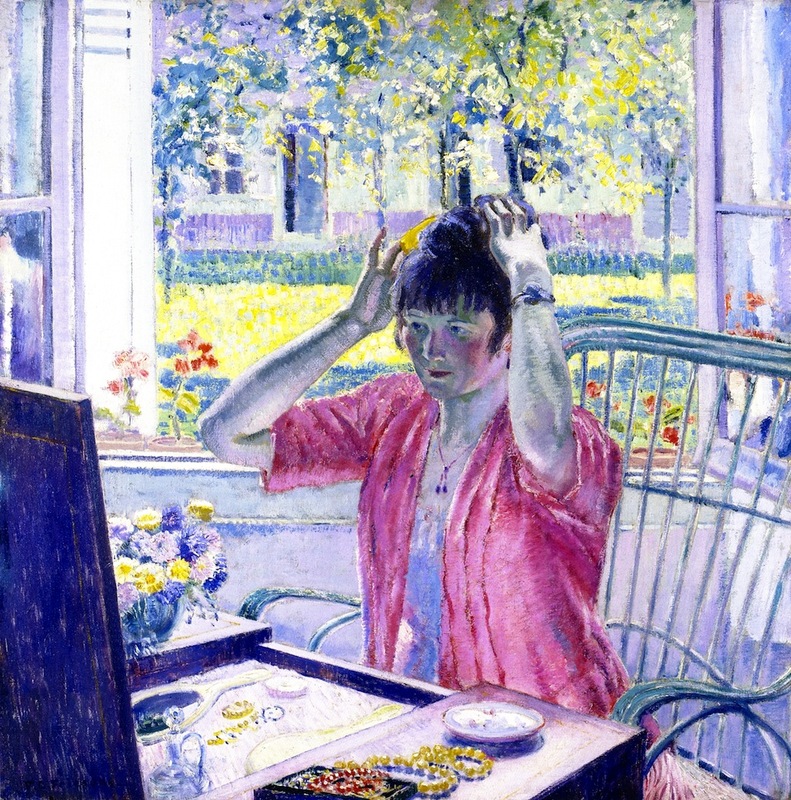 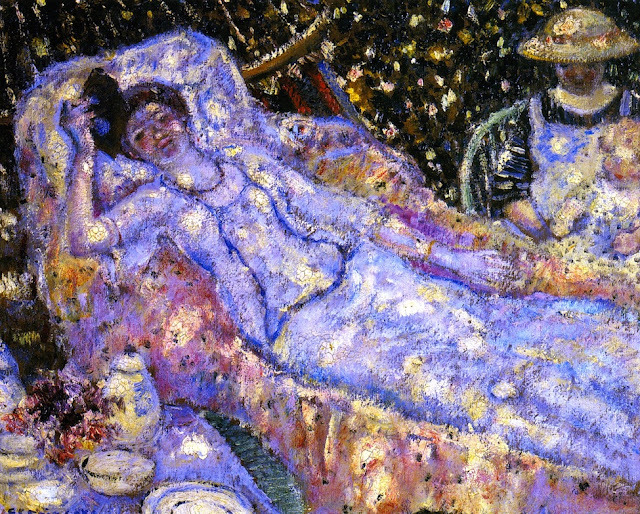 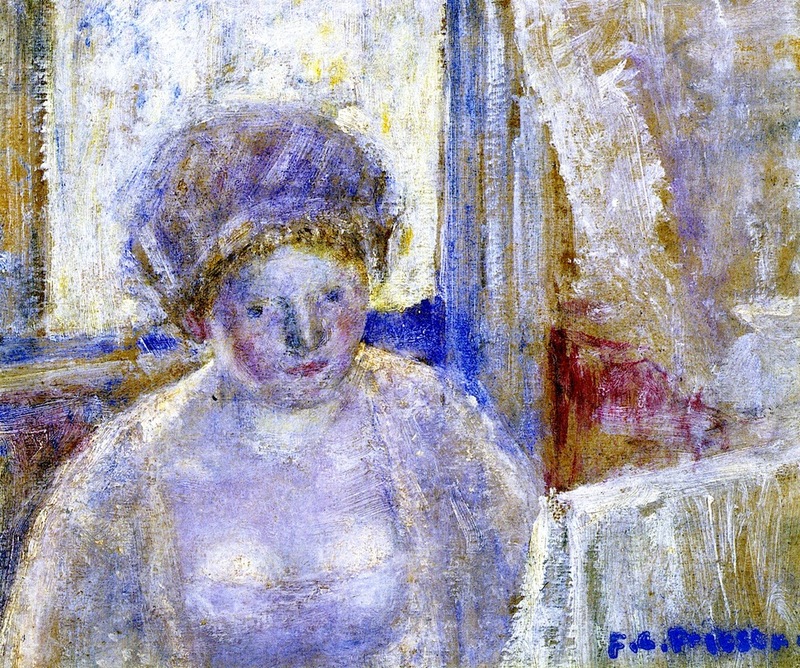 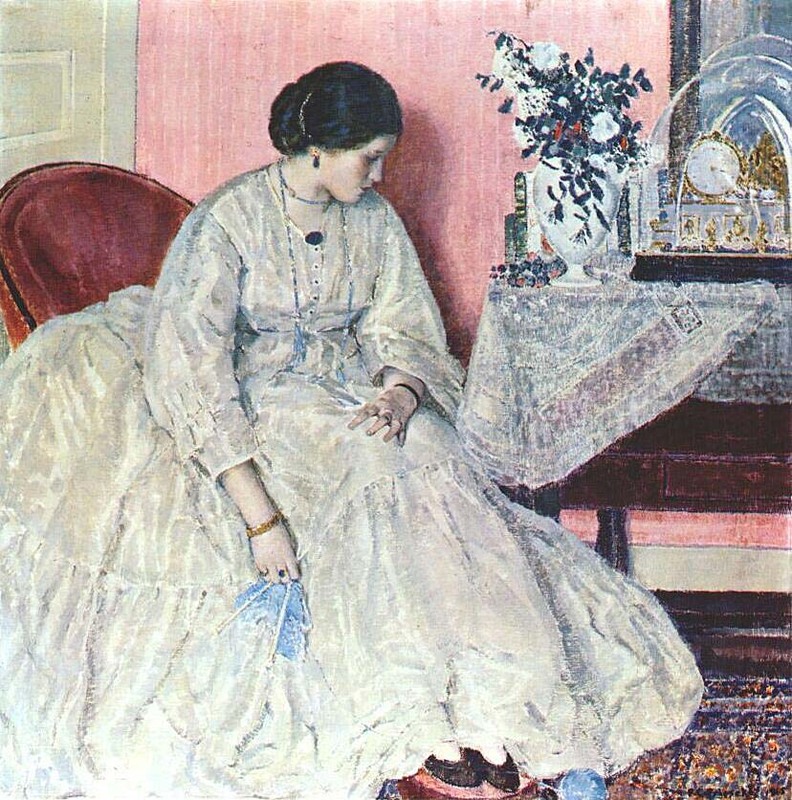 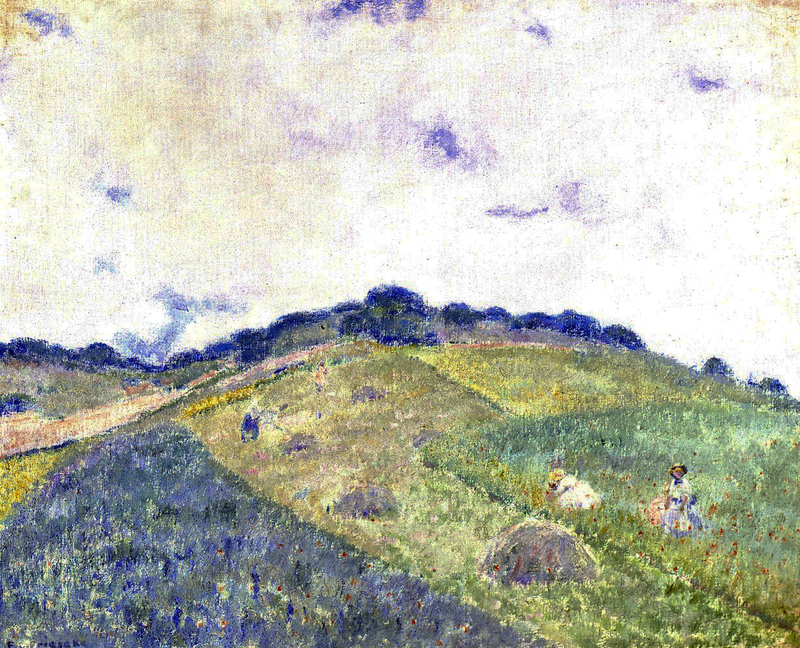 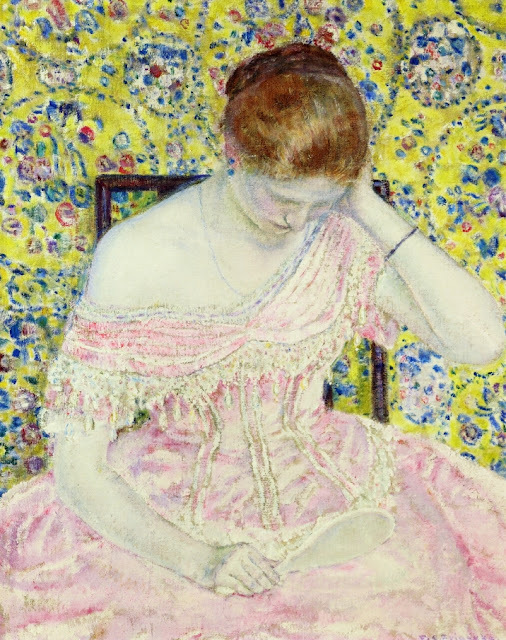 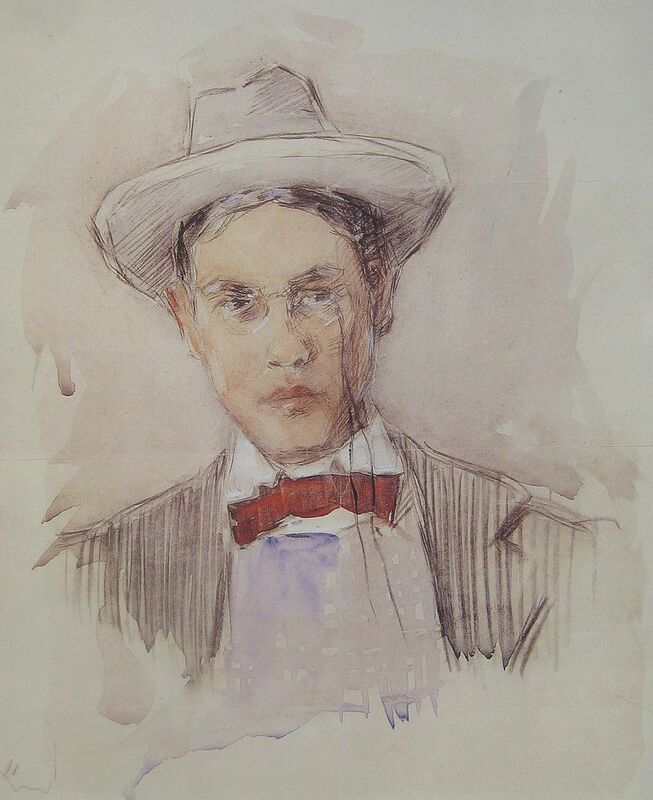 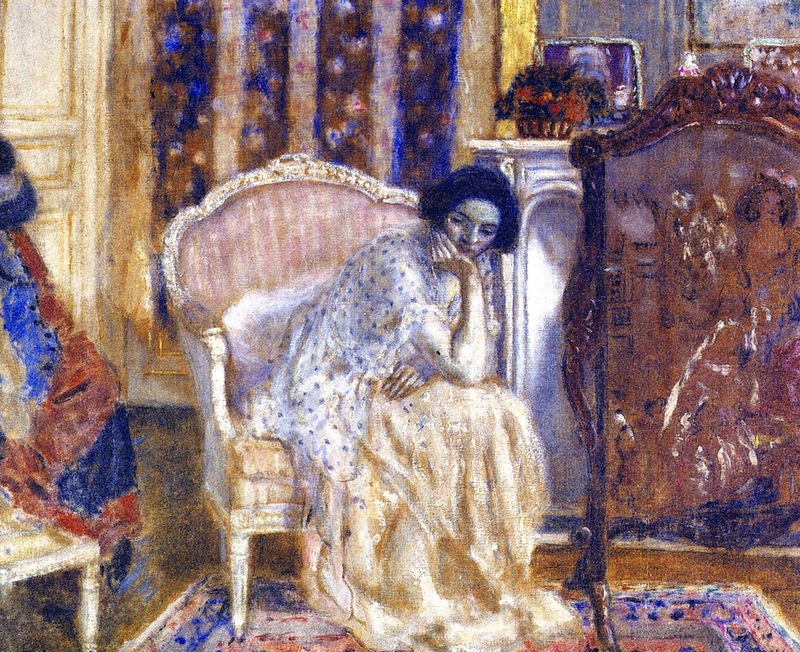 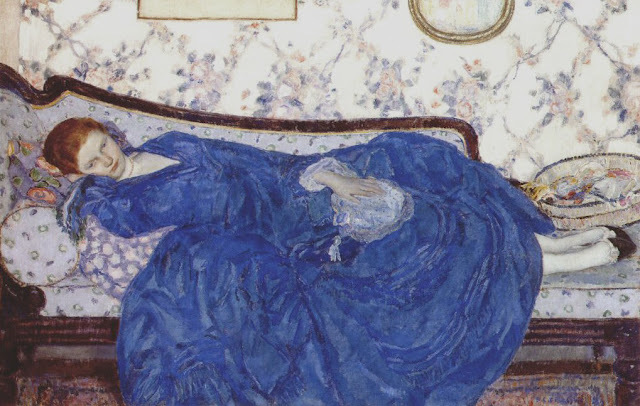 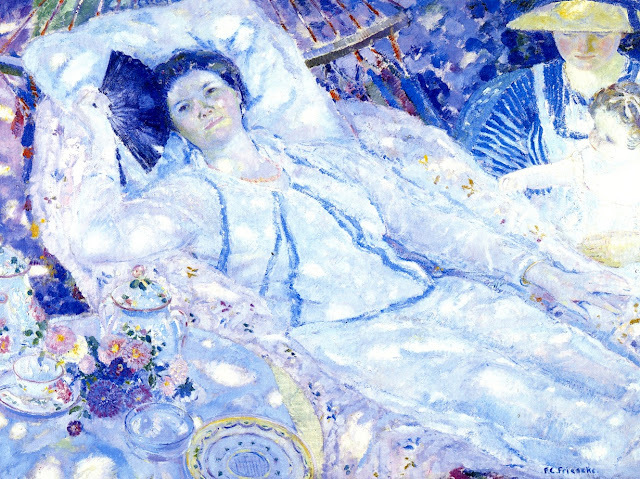 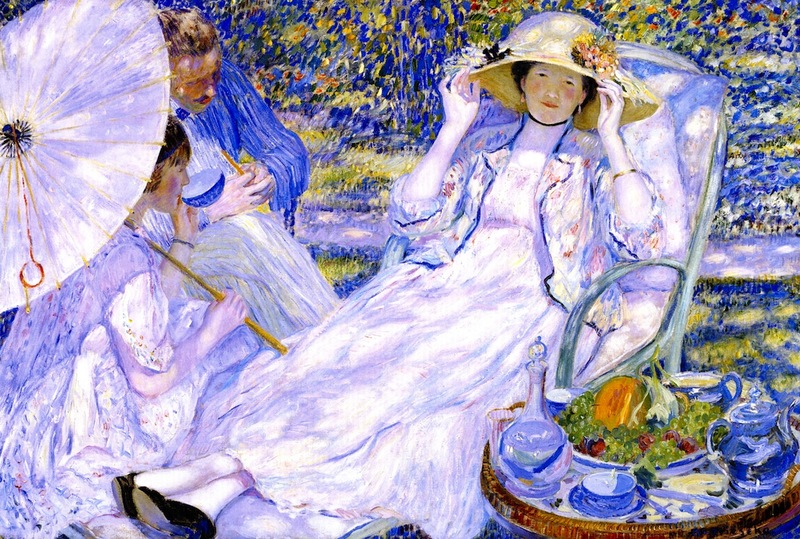 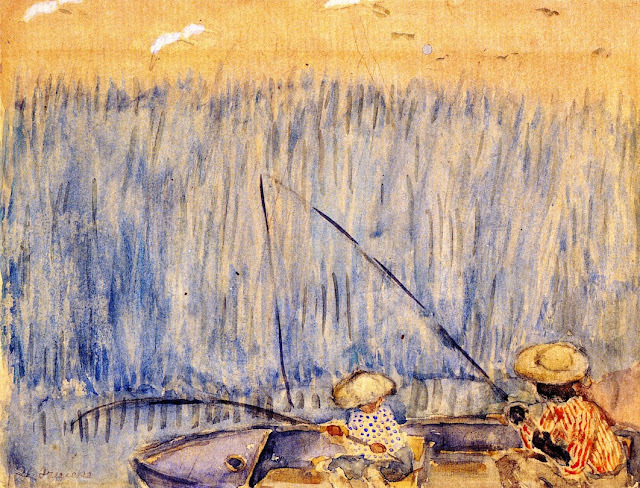 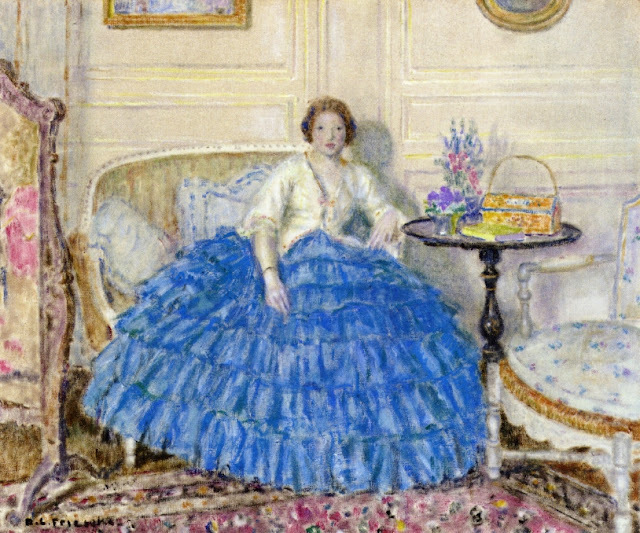 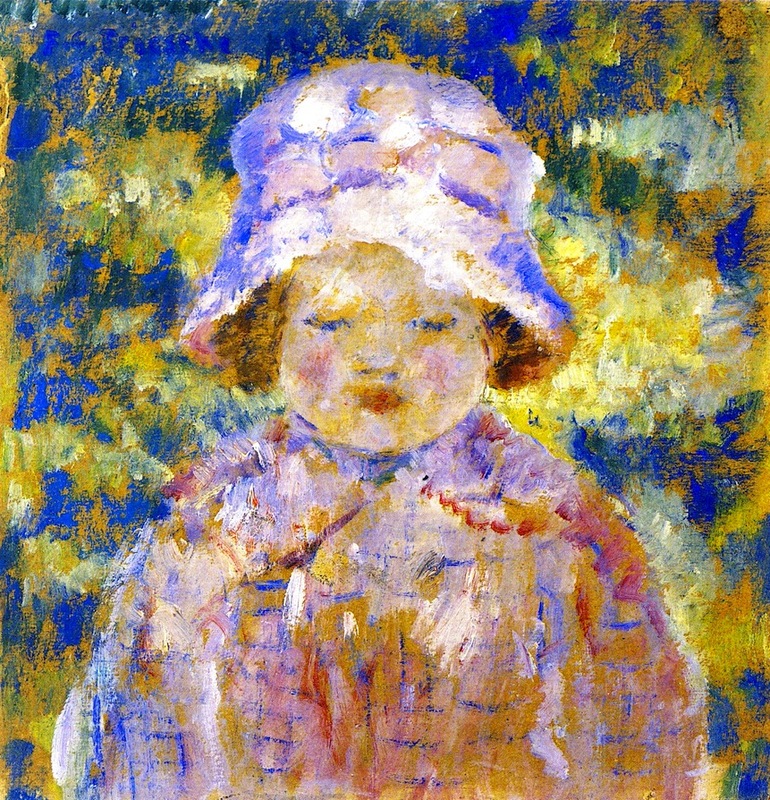 For full biographical notes on Frieseke see part 1, and for earlier works, see parts 1 - 2 also.